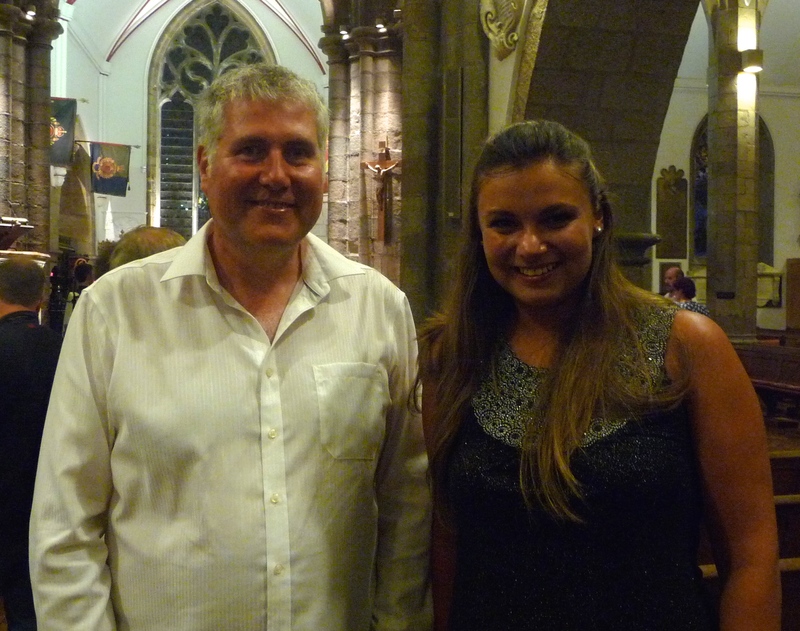 Chiara Beebe’s piece A Return To Sarnia, was given its premiere by the Guernsey Sinfonietta on Wednesday 6th August in St Peter Port’s Town Church. It was conducted by Sebastian Grand, and featured an authoritative young baritone Casey-Joe Rumens. It was spellbinding. It made my hair stand on end. It was an amazing thing to hear something I wrote when I was 21 being so intuitively interpreted decades later, and transformed beyond my wildest expectations. Featuring a strong cello part, trumpets, strings and voice the piece managed to combine mystery with an emotional clarity, which gave it great power. For me it was an unforgettable experience. Just 22, I think Chiara has an intriguing future, and I am flattered that at this stage of her career she used one of my poems. This entry was posted in A Guernsey Double, Chiara Beebe, Guernsey, Guernsey Literature, Music and tagged Casey-Joe Rumens, Chiara Beebe, Guernsey Sinfonietta, Peter Kenny, Sebastian Grand. Bookmark the permalink.